looking for a new place to live with your husky? 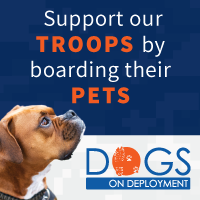 Dogs on Deployment promotes responsible pet-ownership and the military-pet community by providing an online resource for military members to search for volunteers who are willing to board their pets while they're on deployment. Some general guidelines on finding a new home where you can bring your furry companion along. Also provides some additional resources that may assist you along the way. Every year thousands of cats & dogs are euthanized because they don't have a home. MyApartmentMap actively supports pet rescue organizations throughout the country. If your considering a new pet, please contact a local shelter, rescue or a reputable breeder before going to a pet store. Cats & Dogs of all varieties and ages are always available for adoption. Looking for rentals where you can take your pet? Check out Rent.com. Not only can you search pet friendly rentals by city or zip, the site provides some helpful guidelines during your search.